Nestled in the heart of LA, Mount St. Mary’s College brings countless opportunities to students who want to be world shakers and history makers. With high academic standards, small classes, and attentive faculty, students feel prepared to succeed in and outside the classroom. What are the top 3 reasons someone should attend Mount St Mary's College? Small, intimate university. You get to know the staff and faculty and build a great relationship with them. What is a typical Mount St Mary's College student like? Describe the type of person that should attend Mount St Mary's College. Students are usually female, young, health-conscious, dedicated, driven, works, cost-conscious. There are some men and they are also young and cost-conscious. Mount St. Mary's College is an independent, Catholic, liberal arts college which provides a values-based undergraduate education for women, as well as innovative programs for professional men and women on two historic campuses in Los Angeles. The Mount is the only Catholic college primarily for women in the Western United States. It is also nationally recognized for its academic programs, its culturally diverse student body, and its focus on preparing the next generation of citizen leaders. Founded in 1925 by the Sisters of St. Joseph of Carondelet, the College had its original campus at St. Mary's Academy at Slauson and Crenshaw Boulevards in downtown LA. After the purchase of property in the Santa Monica Mountains in 1928, the College built its Chalon Campus, which is home to its traditional baccalaureate degree program. The College's historic Doheny Campus near downtown LA opened in 1962 on what was once the Doheny Family estate. The campus houses the Mount's graduate degree programs, associate in arts program, education credential program, and the Weekend College, which offers a baccalaureate degree program to working adults. 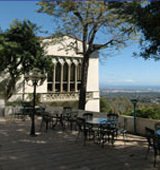 Many of the other programs at the Doheny Campus are also offered in evening and weekend formats. The Mount's academic programs place a strong emphasis on social and ethical values consistent with the Catholic view of compassionate community involvement--both in Southern California and around the world. The College also prides itself on the diversity of its student body and faculty, who have include a wide variety of religious, cultural, and ethnic backgrounds. Indeed, this diversity greatly enhances students' preparation for involvement and leadership in our increasingly complex world. Since its inception, Mount St. Mary's College has granted more than 17,000 degrees. What are the top 3 things that students do for fun at Mount St Mary's College? Campus housing is available for undergraduates. Housing deposit : $200.00. Housing deposit due : May 1. Housing deposit is refundable in full if student does not enroll.. Freshman allowed to have car. No pets. 47% of freshman live on-campus. Facilities: a nuclear magnetic resonance (nmr) spectrometer was purchased in 2012. The average student pays $26,473 for tuition, fees, and other expenses, after grants and scholarships. Total stated tuition is $32,882, in-state and on-campus, before financial aid. Learn more about financial aid at http://www.msmc.la.edu/pages/220.asp. Estimate the net price for you at http://www.msmc.la.edu/calculator. The typical (median) early career salary of Mount St Mary's College graduates is $50,400, according to Payscale. Want more info about Mount St Mary's College? Get free advice from education experts and Noodle community members.